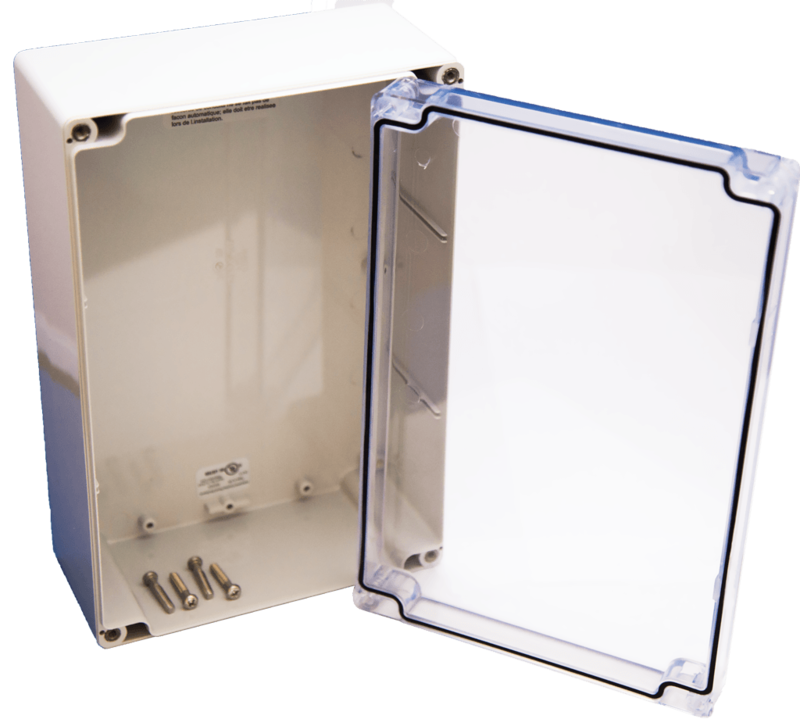 The 171-104 is a 9.25" x 6.25" x 3.63" RoHS/NEMA 4X enclosure with clear cover. Can be used to house DITEK surge protectors that are not rated for outdoor use. 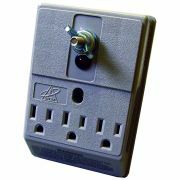 The DTK-3GTP AC power surge protector is a three outlet, wall-mounted unit with external grounding connection for use with other DITEK protection devices when typical grounding is not available.